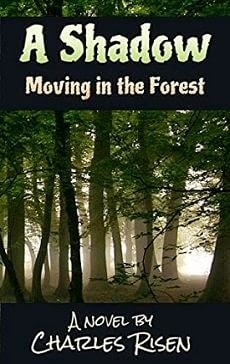 Today we are interviewing Charles Risen, author of A Shadow Moving in the Forest. Like Dylan I’ve been in construction, built barns and also done some database work. For many years I worked as a Volvo technician out of my home based business. This is my first novel and a pet project. I’ve spent time alone in the mountains, sometimes on my way to lakes to fish for trout, sometimes trekking through the snow like Dylan Erykson in the story. I live in Independence, Oregon USA and enjoy the Oregon Coast and mountains in which the story is set. Experiences with airplanes, wooden boats and kayaks are deeply embedded in my life as they are in the story. Dylan Erykson found himself on a treadmill of paying medical bills and debt from the accident that took his wife Kathryn and injured his daughter Anna. Eventually Anna grew up and went to nursing school in Seattle. At this time Dylan seized the opportunity to go to Alaska to build a shop and airplane hangar for his friend Max. Unexpected events lead to an odyssey that changed everything, during which time Dylan decided not to return to the life he left behind. It’s mostly outdoors action that would appeal to men of any age but many women would relate to the experiences. The reason is that both men and women sometimes feel trapped by their situation in life and can’t see the opportunities that present themselves. What inspired you to write a book about a man who goes an epic journey in the Alaskan wilderness? Most people have at some time wanted to escape, to take a break from a routine they need to get away from. That is the gist of the story. Tells about the protagonist, Dylan Erykson. A faithful husband and father who loved the outdoors. I’m working on a book of ideas for small automotive related business ventures based on actual successful businesses run from home or small shops. Yes. My personal email is at the end of the book. Please let me know your thoughts.